If you ask a family dentistry expert about the importance of brushing techniques, you’ll get a clear answer; improper oral hygiene is at the root of most tooth and gum conditions, so brushing the right way is critical. Given the high cost of dental care, finding an affordable dentist to detect and treat problems early is essential, but you can often stop them before they start. Observe the following tips to keep your smile bright and healthy for a lifetime. Time yourself. Brush your teeth for at least two minutes. If you rush through the process, plaque gets left behind. Be methodical. Mentally divide your mouth into four quadrants, and spend equal time brushing each thoroughly. Choose a soft toothbrush with bristles that vary in height. Hard brushes damage tooth enamel and gums. Bristles at different heights improve a brush’s ability to clean between teeth and beneath gums. Although manual brushing is highly effective, if you tend to rush, try an electric toothbrush. They require less physical effort and are often better at cleaning between teeth. Change your toothbrush every three months. Worn or splayed bristles are less effective. Don’t forget to floss daily; it’s the second command of oral hygiene. Flossing reaches areas between teeth where your toothbrush can’t go. If you do intensive research on tooth brushing techniques, you’ll find several conflicting schools of thought. 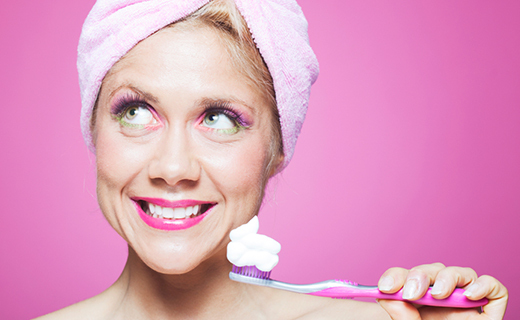 Some experts suggest brushing in a circular motion while others recommend an angled approach. Regardless of technique, the most important thing is getting good results. If your family dentistry team is happy with your dental care, it’s best to simply stick with what works. If there’s a problem, your dentist will be happy to make recommendations.